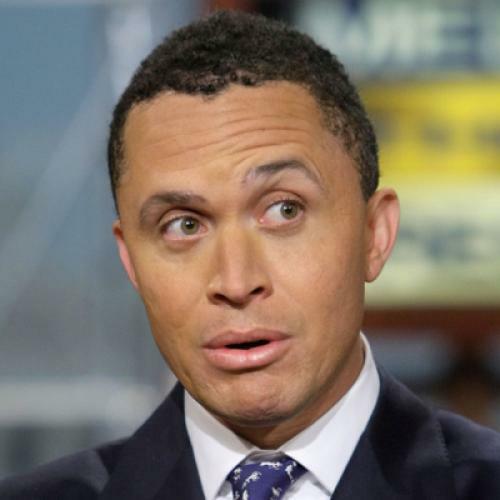 Harold Ford was a guest on Meet The Press this weekend, marking the sixth time the former Tennessee representative has been on the show this year. That's more appearances than anyone else (besides the pundit superteam of David Brooks and E.J. Dionne), including more than any other NBC political contributor, and more than any current officeholder. I was astonished by what happened with the jobs bill also. We are in the majority, we have an obligation to govern. And the American people react in revolt when politicians feel like they know what voters want. Health care is important. But if we don't focus on jobs and jobs and jobs again, I think Vice President Biden was right, Democrats will suffer in the fall. The reality is families are having problems at home, businesses are having problems running themselves--or I should say, people running them are having problems. And the reality is people are worried about their future. And, ultimately, your point is the right one. I only make the point about the back and forth of it. There has to be some honesty about bipartisanship. You can't in the morning say you want it, and in the afternoon everything is undermined. My party needs to understand that there is growing, if not a crescendo of concern about jobs, taxes and the economy. There's great concern even with 36,000 jobs being lost, which is far less last month than months before. But there's a concern if the platform, the growth platform going forward that will create new jobs and provide economic security for families is not there. If Democrats, including Blue Dogs and CBC members and Hispanic Caucus members, are willing to come together with some Republicans, I think you can find a spending bill, a tax cut bill and one that makes some tough choices going forward on deficit spending. They hear all this insider talk about what you guys are doing, what this guy--these guys, we're worried about them doing. They just want answers. If you're without a job or you've taken an job where you're making less than you were before, you just want leadership. Now, my party happens to be in the majority, and they will probably end up having to make a stronger defense than Republicans. But you guys have an obligation and a burden to lead as well. I think the president and Democrats are going to have to take a very, very different approach than they have up to this point. They're going to have to be willing for more reconciliation with the other side. They're going to have to be more focused on growth and jobs, and there might even have to be some admissions about mistakes that were made. Because one thing is clear: Even if we hold, the approach has not been the right approach over the last two years. The goals have been laudable and the right ones, but the approach certainly deserves some tinkering, if not major reshaping. He seems to be in favor of Obama getting together with Republicans and passing a jobs bill. Just a hunch.